In his meeting with Vohra at the Raj Bhawan, Sharma discussed the significant geopolitical developments in the region since his last visit to the state. 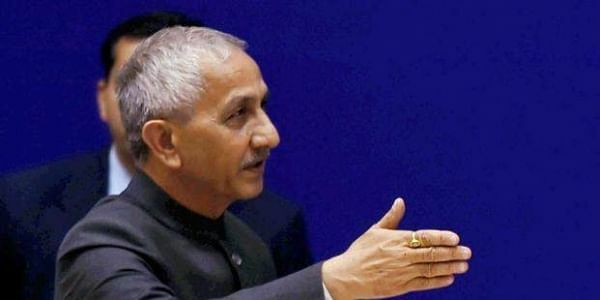 JAMMU: The Centre's Special Representative for Kashmir Dineshwar Sharma today met Jammu and Kashmir Chief Minister Mehbooba Mufti and Governor N N Vohra here. During the meeting, he briefed the chief minister about the schedule of deliberations during his stay in the state, an official spokesman said. In his meeting with Vohra at the Raj Bhawan, Sharma discussed the significant geopolitical developments in the region since his last visit to the state, a spokesman said. Sharma began his second visit to Jammu and Kashmir today by reaching out to displaced Kashmiri Pandits at the Jagti camp on the outskirts of the city. He was appointed the Centre's interlocutor on October 23 to hold talks with all stakeholders in an effort to find lasting peace in parts of Kashmir.